At Classic Jet Tours we understand how exciting it is to finally capture that rare, elusive aircraft type that is somehow missing from our logbooks. 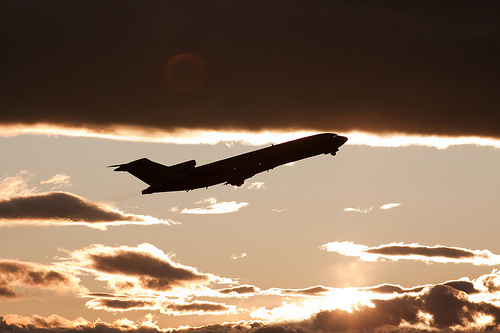 We specialize in organizing flights on aircraft that are no longer found in scheduled service. We provide airline enthusiasts, like ourselves, opportunities to fly on vintage aircraft that have become increasingly difficult to log as they are removed from service. Our trips consist not only of the flights themselves, but also include opportunities to walk around the aircraft on the ramp, visit the cockpit, talk with the pilots, and socialize with like-minded aviation buffs. All flights are operated by certificated, reliable air carriers on safe, well-maintained aircraft. Typically, we offer 1-2 flights per year on various aircraft types, so check back often to see what we'll be flying next. © Copyright 2011-2015 Classic Jet Tours. All Rights Reserved.